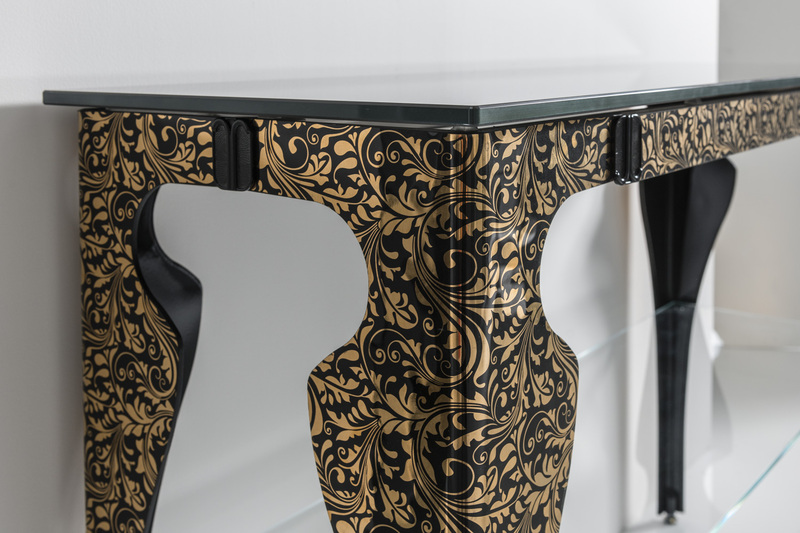 Brilliant beauty and enticing appeal, this series presents itself with delicate power and a refined elegance. 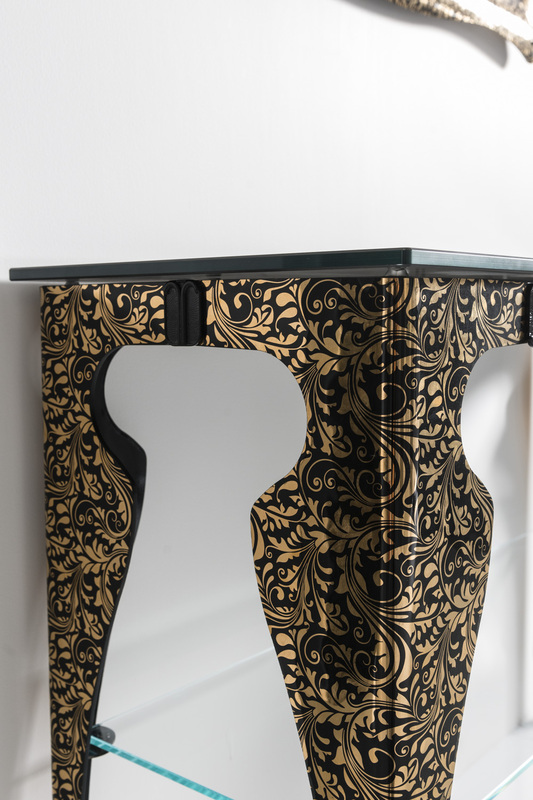 This luxury vanity is veiled with a black and gold motif, influenced by the jewels of, the �Queen of Sheba�. This Luxury Italian bathroom vanity is shown in Black Textured Gold and handmade with Murano Glass in a 48" width. This treasure is undeniably the showpiece of any transitional bathroom. The chassis and legs are made of stainless steel satin 304, coated of Florance Texture. 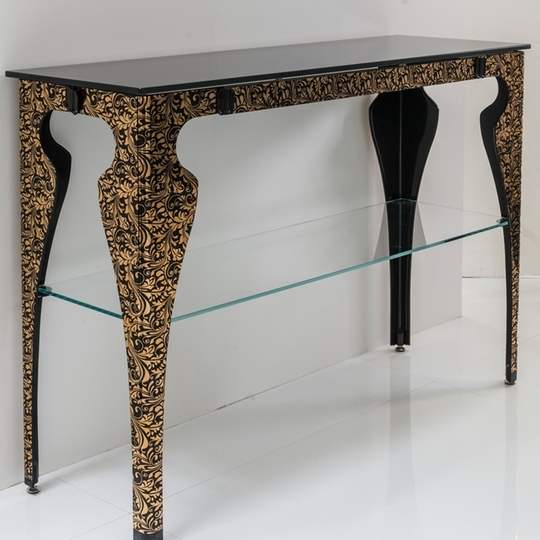 This Luxury Italian Vanity has an intermediate shelf made of tempered glass. Whether, your design style is transitional or modern, MaestroBath products will compliment your home improvement project and add a lavish, luxurious feel while protecting your health, safety and the environment. 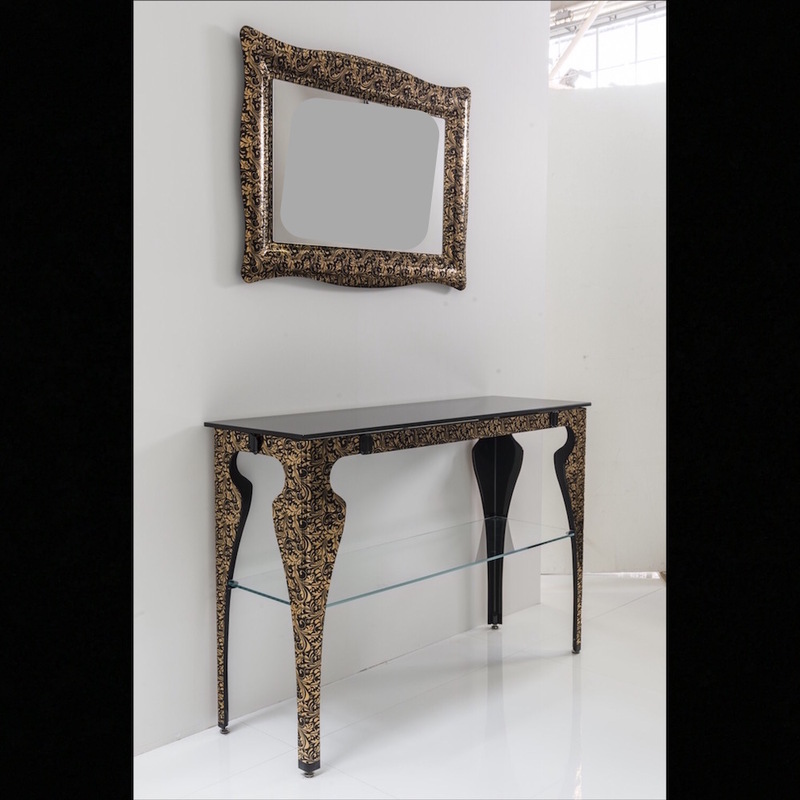 This Luxury Italian bathroom vanity will make a exceptional statement with its Designer- inspired Black Textured Gold finish. Made in Italy. MaestroBath is made of the highest quality materials to ensure an elite performance and style. These products also have coordinating wall mirror available upon request. Top basin is not included and should be customized for a more exclusive look. Our Free In-Home Trial does not include these products.